Law enforcement, Military, Fire Rescue, and Senior Citizens receive an additional 5% off any repair and 1% on any new system Installation. Our way to say Thank you. We support Local Companies and Manufacturing and are proud to carry products that are Made in the U.S.A.
Do you REALLY need a new A/C? At Brevard Cooling and Heating we are committed to providing the highest skilled and professional services at the lowest price possible. We are founded on the highest quality of workmanship. All of our employees are drug tested, background checked, and clean cut in uniform. Most importantly, our employees are properly educated. You get certified technicians and certified installers serving you 7 days a week. So give us a call today and experience the difference! For Quality Service from a Business You Can Trust, Choose Brevard Cooling and Heating, Inc.
Do you need help with your air conditioner or furnace? Maybe it's time to repair or service a unit you had installed, or perhaps it's time to replace it altogether? Whatever your situation, you have come to the right place. At Brevard Cooling and Heating, Inc., we work hard to put our customers' needs at the top of our list. As a family owned and operated business, we know firsthand what it means when a client is happy with our service. What's more, we work hard on each and every job to make sure our customers are happy with both the product we provide and the manner in which we provide it. Choose Brevard Cooling and Heating, Inc. for your air conditioning and heating service needs. You can be sure we will do our best to add you to our list of happy and satisfied customers! For more information on who we are, and what we do, please read on. Take your time looking over our website and, as always, if you have any questions or concerns, please feel free to contact us. If you need help with your air conditioning or furnace system, we are your go-to business. We have been working in the air conditioning and heating industry for a combined total of over 30 years, and we have worked hard to build our reputation as a friendly, reliable, and trustworthy family business. At Brevard Cooling and Heating, Inc., we have seen that the biggest mistake a customer can make is choosing a certain brand of unit over the company that installs it. You see, the company that you use matters perhaps more than if not just as much as the brand of air conditioner or furnace you choose. 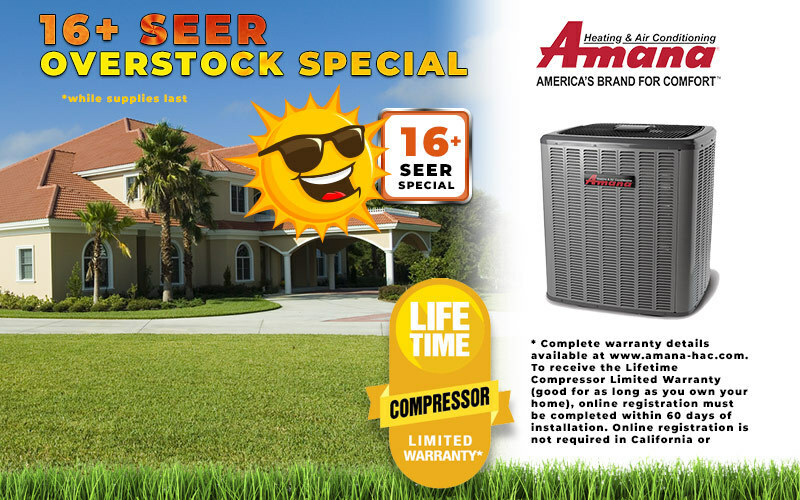 The best air conditioning or furnace unit on the market won't work as well if it is installed by a company that does not insist on using only the best installation techniques in the industry. That's why it is important that you choose the right company for your air conditioning and heating needs. At Brevard Cooling and Heating, Inc., when we come to your home or business to install new equipment, we are careful, meticulous, and professional. We make sure everything is done right the first time, because we want you to be just as happy with our service as you are with our product. Allowing someone to come into your home or office to work on your air conditioning or furnace equipment takes a step of trust on your part. You want to be sure that the person coming in is professional, courteous, and trustworthy. Some air conditioning service companies will hire anyone they can, slap a uniform shirt on them, and send them to your home without bothering to verify that the employee is a professional in every sense of the word. This can result in sub-par service at best and a dangerous situation at worst. We are not like that: at Brevard Cooling and Heating, Inc., we hand-pick our employees from a broad pool of applicants. Following this, we engage in drug testing as well as background screening to ensure the safety and comfort of our customers. Finally, we make sure that each and every employee holds all the necessary licenses, certifications, and credentials required to provide air conditioning and heating services. Once our employees have passed all relevant screenings, and once we are satisfied that they hold the necessary licenses and credentials, our rigorous training program begins. We closely supervise new employees for two weeks, having them ride with upper management to house calls and installation jobs. We work hard during this time to educate our employees on the importance of meeting the expectations of our customers. Just because the choice of equipment is not as important as the choice of company you use to install it doesn't mean that you should not get good equipment. On the contrary, using high-quality air conditioning and furnace equipment will save you time, money, and frustration. 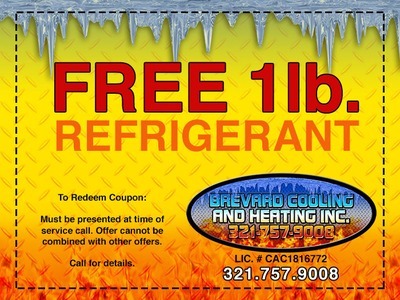 At Brevard Cooling and Heating, Inc., we work hard to bring you the best equipment on the market at reasonable prices. We do this by taking advantage of our ability to order equipment in bulk, thus obtaining substantial savings over the cost of purchasing the units individually. Then we pass these savings on to our customers. When you come to us, you know that you're getting great service and a name you can trust. In addition, you can rest assured that the equipment we procure for you will be the names and brands that are recognized as leaders in the industry. At the same time, you won't have to pay the premium prices for this equipment that you might have to pay if you were to purchase it on the open market. Viewed in this light, it just makes sense to let us handle all your air conditioning and heating service needs. Whether you need to have a new air conditioner or furnace installed, or you just need some routine maintenance on your existing HVAC equipment, contact us today. Let us come to your home or business and take a look at the problem. We're happy to sit down with you, review your issue, and present you with a list of solutions. At Brevard Cooling and Heating, Inc., we're proud of our reputation. We look forward to showing you just why it is that we are known as the place to go for professional and reliable service. 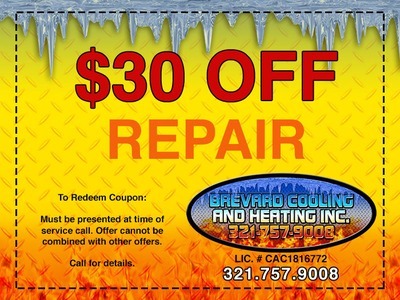 At Brevard Cooling and Heating we service all air conditioning brands in all of Brevard County. If you live in or near one of the following locations and need a/c repair or an estimate give us a call. Wow! That's quite a few cities and towns in just one County. Our Qualified, Certified, Drug Tested, and Background Checked Technicians specialize in safety and customer satisfaction. 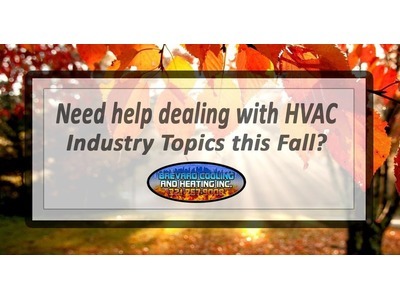 Need help dealing with HVAC Industry Topics this Fall?